The natural grass soccer fields at Los Establos, Cap Cana (Dominican Republic) will be the venue for the second year running of the Torneo Internacional FCBEscola Las Américas, the only such competition played away from the FC Barcelona premises. In this year’s edition, no fewer than 40 teams from seven countries and 13 FCBEscolas and FCBCamps will be taking part from December 15 to 17, a more than 42% increase on the entrance figures for 2016. The competition will run for three days and will involve some 500 boys and girls that are pupils either at FCBEscola soccer schools or on their international camps. The countries being represented are the Dominican Republic (Santo Domingo), Brazil (Rio de Janeiro), Japan (Fukuoka and Katsushika), the United States (Charlotte, Chicago, Austin, San Diego and teams from different FCBCamps), Colombia (Bogota), Guatemala and Barcelona. 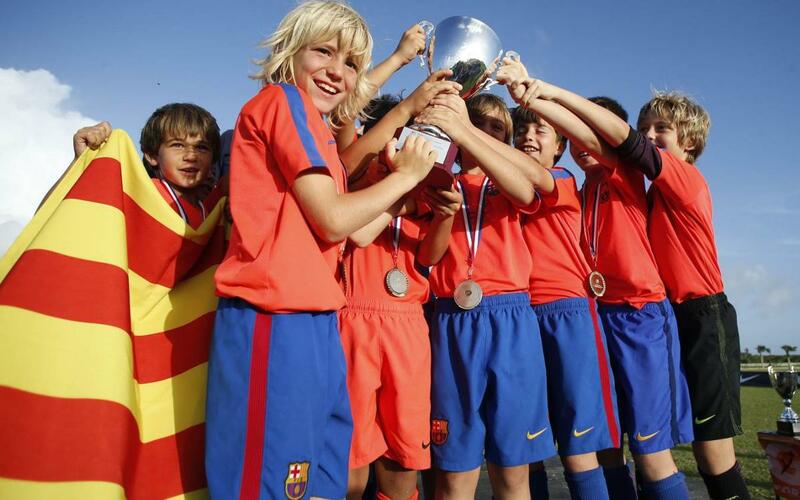 In the Formation category for children born in 2008 and 2009, there will be 12 teams, a 25% increase on last year. In Precompetition (children born in 2006 and 2007) there will also be more entrants, with 14 teams competing. And in Competition (2004 and 2005) there has been even more spectacular growth, with a rise from six teams last year to 14 this time round. The system for the second edition of the International Tournament Las Americas will start with group matches on Friday 15 and Saturday 16. Then on Sunday 17 the teams will compete in the knockout stages. Games will be 25 minutes long, but finals will be played over two 20 minute halves. As well as the competition, the organizers from FCBEscola República Dominicana have also set up a series of other activities to keep the players amused between matches. These include a FIFA 18 tournament, the Gatorade Bottle Challenge, Gatorade Soccer Ping Pong, skills contests and a Nike Lounge. As well as playing their favorite sport, the participants will also be able to take part in different leisure, cultural and sporting activities typical of the Dominican Republic.